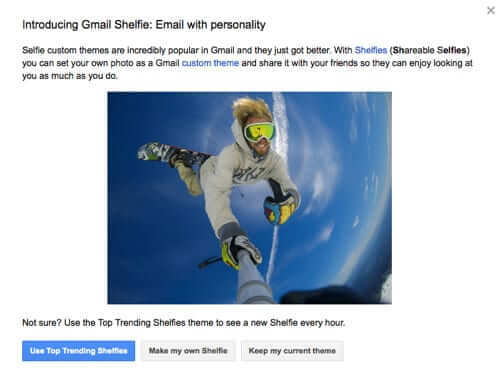 Gmail users were greeted this morning (April 1st) with an invitation to take a “shelfie”, a ‘shareable selfie’ custom theme. While it has always been possible to set your Gmail background photo as an image of yourself, the April Fools joke is suggesting that you share it as a custom theme. 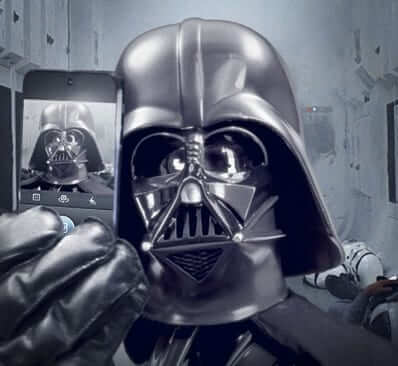 Darth Vader has posted a selfie to Instagram. The Darth Vader selfie was the first image in the new Starwars Instagram account, and features Lord Vader with a few fallen bodies in the background. The word “selfie” has made it into the Oxford Dictionary. Yes, selfie (or “selfy”) is now officially a word. Not only that, but of all the words that made it into the Oxford English Dictionary (OED) this year, selfie is the word of the year!